We must admit. We are addicted to carrot cake. 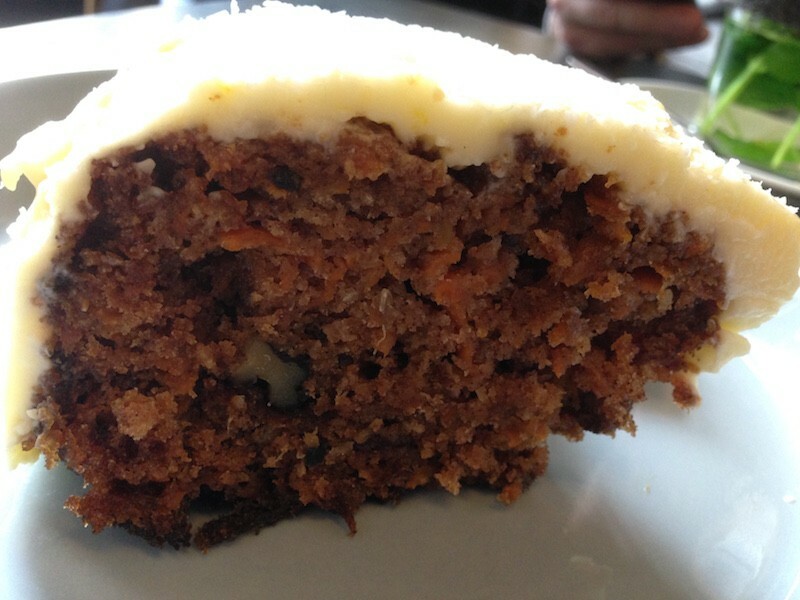 Whenever we visit a coffee shop in Berlin, we hope they have a carrot cake on offer. And although most of them will have some sort of cake on offer, there are only a few that serve absolutely delicious carrot cake. If, like us, you also appreciate this yummy cake sort. 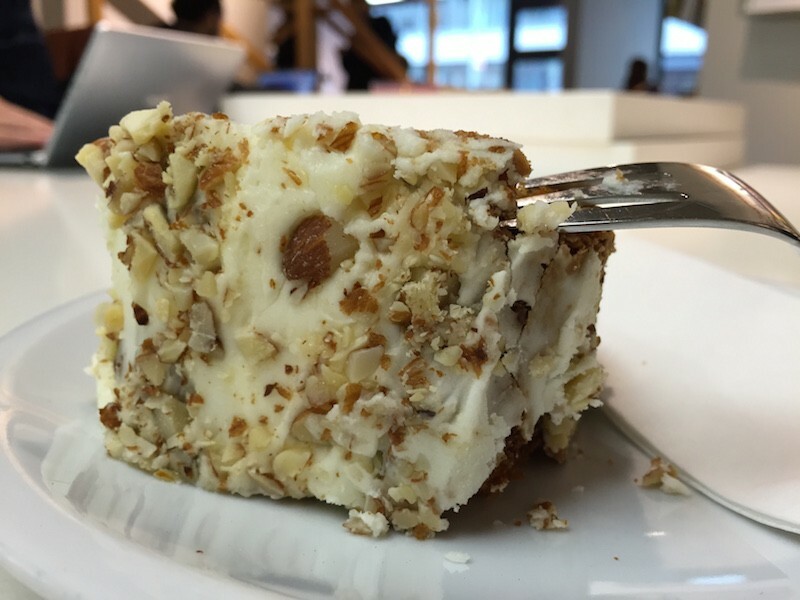 We say: Cut to the chase and go for the ones on our BEST CARROT CAKE IN BERLIN list. 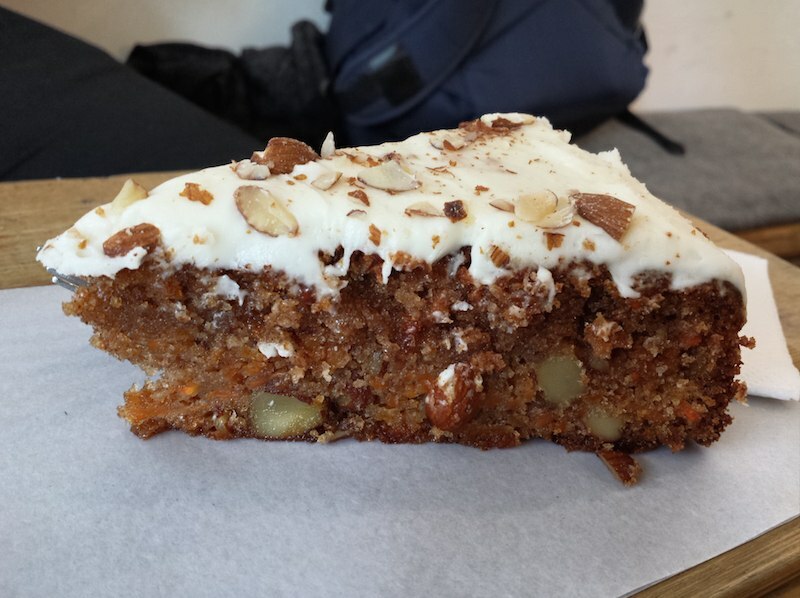 There are quite a few other decent carrot cakes being served around town and we are on a quest to make this list a bit longer, however, these are the ones that have won our hearts so far. 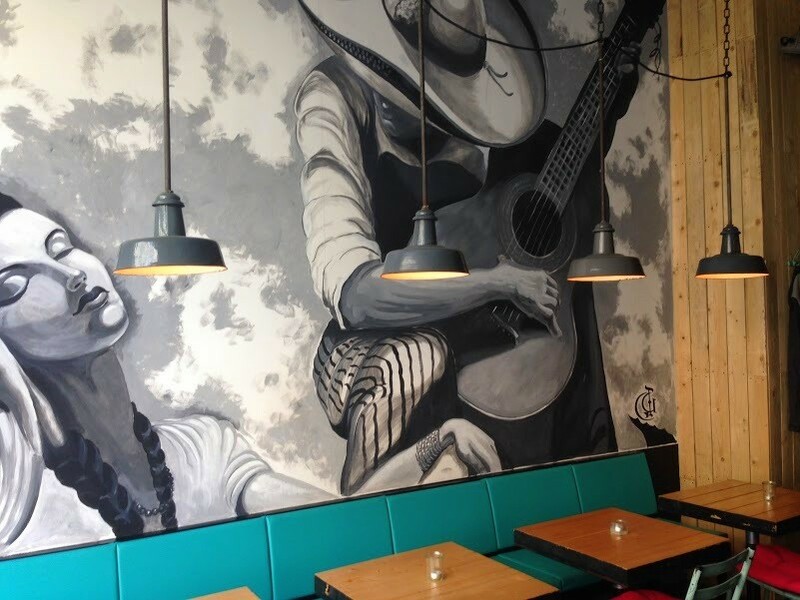 It also doesn’t hurt that the places below also serve amazing coffee. After all, there’s no better companion to a carrot cake than great coffee. Don’t you agree? This scrumptious carrot cake is moist enough and has a spicy punch to it. We love that it is somewhat nutty without compromising its carrot cake texture. Oh, and that frosting with the shaved almonds….TO DIE FOR! This delicious carrot cake has more a traditional look and feel to it. One can taste the spices, frosting, fruits and carrot at every bite. The delectable frosting has notes of lemon and is just thick enough. Can we have two slices, please! YUM! We love to stuff our faces with this “oh-so-good” slice of heaven. The chopped almonds dig into the perfectly smooth frosting. The dough has just enough spice and is just moist enough. Truly a remarkable carrot cake! DELISH! We have also enjoyed eating carrot cakes around town and in many other places. The ones from the places listed below have also been very good, but not quite as amazing as the ones above. There are also quite a few we have tried and didn’t feel excited about. That happens. We hope the “Carrot Cake Scene” in Berlin keeps evolving. We will make sure to update this list as soon as we find cakes that match our top 3!